We receive many questions about whether it is better to have a wired or wireless network. There are pros and cons to each and determining the best option often depends on what you are using the network for. However, when it comes to children’s check-in, we recommend a wired network. While KidCheck will run on a wireless or wired network, wired networks typically give you more reliable, faster and more secure connections. For check-in to run effectively and efficiently, the network must be consistent, reliable and constantly up and running. 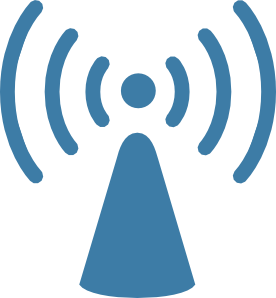 The connection on wireless networks can be unstable and susceptible to interference from a number of items including cell phones, building construction, proximity of access points, etc. To provide more information and help you understand Wi-Fi networks, we’ve written this article on Wired or Wireless networks. It provides an easy to understand overview and explanation of Wi-Fi networks, associated caveats and considerations, plus specific actionable suggestions for testing and setting up a wireless network more effectively. We hope you find it valuable. Let us know of any questions you have or comments you’d like to share on your experience using a wired or wireless network.